The Queen of Suspense! Dame Agatha Christie is the best selling novelist of all time, according to The Guinness Book of World Records. She has sold roughly 2 billions copies of her work, and her estate claims her works come in 3rd for most-widely published books, behind only the works of William Shakespeare and The Bible. She is also the most translated author with her works being translated in 103 languages. On top of that, her play The Mousetrap has been running on The West End for over 50 years. The film world came knocking and Dame Christie answered. Her works have been adapted for the screen since the the late 1920s to varying degrees of success. From masterpieces to movies that shouldn’t have been made, Christie’s work had touched thousands of readers and viewers. These are some of the best movies based on her work. 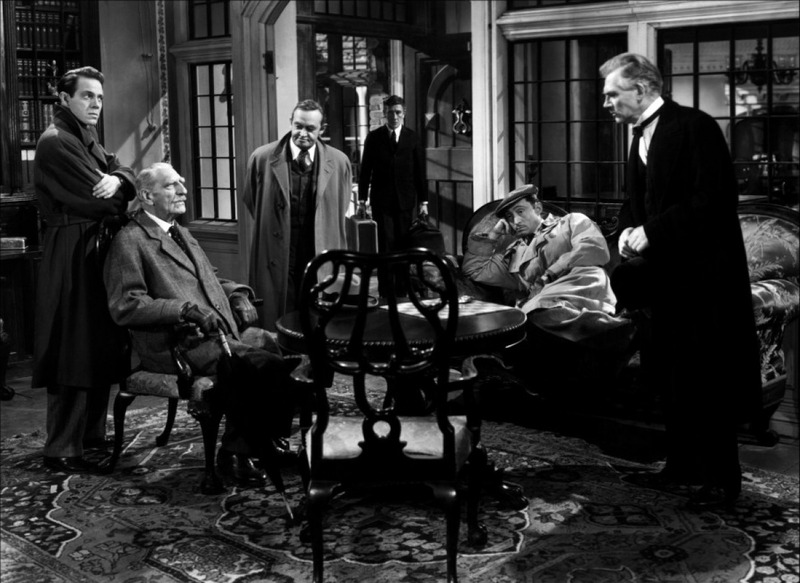 Cited as one of, if not the best adaptations of Agatha Christie’s works and one of the best courtroom dramas ever, Witness for the Prosecution is based on the short story (and later play) by the author. The film stars Tyrone Power (in his last film role), Marlene Dietrich, and Charles Laughton, and features Elsa Lanchester. Directed by Billy Wilder, the film follows Leonard Vole (Tyrone Power), who is being accused for murder of a wealthy woman. Legendary lawyer Sir Wilfrid Robarts (Charles Laughton) has chosen to represent him. His alibi rests in the hands of his callous wife (Marlene Dietrich), who, through a legal loophole, appears in court against him. This is just the first of many twists and turns faced by the defense. 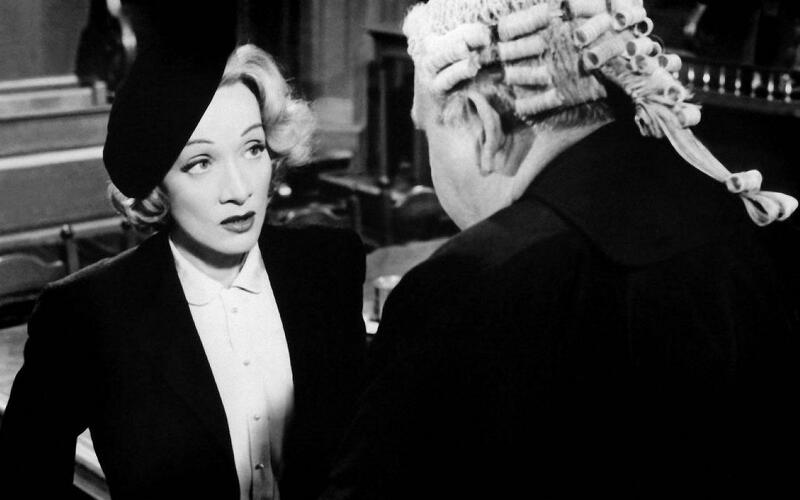 Witness for the Prosecution has received extreme positive reviews and was nominated for six Academy Awards including Best Actor in Leading Role, Best Supporting Actress, and Best Picture. It is also considered one of the best courtroom dramas of all time, ranking 6th on the American Film Institute List of best courtroom dramas. An adaptation that even Christie herself enjoyed, Murder on the Orient Express, based on the novel of the same name, is a star-studded romp. Featuring Albert Finney as one of Christie’s most popular characters Detective Hercules Poirot, the cast also includes Lauren Bacall, Sean Connery, Anthony Perkins, and in an Academy Award winning performance, Ingrid Bergman, and that’s to name a few. 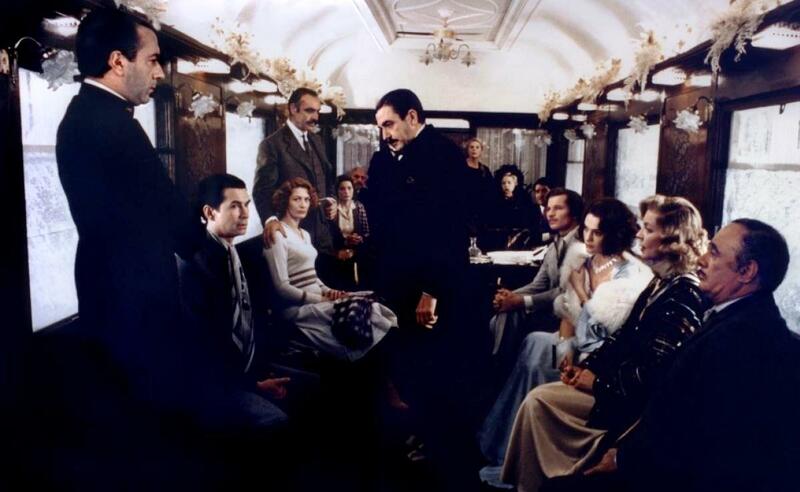 Aboard the Orient Express, Detective Poirot and his friend Monsieur Bianchi, a train company director must find out who murdered the American business tycoon Mr. Rachett. Agatha Christie had expressed much disappointment over the adaptations of her work and was unwilling to sell any more film rights. According to Christie’s husband, she begrudgingly accepted the offer from producer John Bradbourne and chairman of EMI films Nat Cohen. She went on to say that the film was well made, except for one mistake. 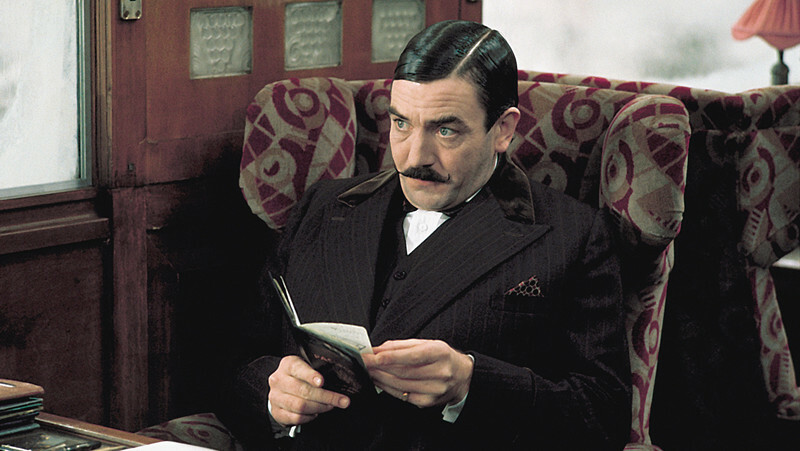 Having Albert Finney play Detective Poirot. Finney earned one of the film’s six Oscar nominations. The first of the Miss Marple films made by director George Pollock, he went on to make three more, Murder, She Said was loosely adapted from Christie’s novel 4.50 from Paddington. Margaret Rutherford portrayed the famous amatuer sleuth Miss Marple for this film and its sequels. 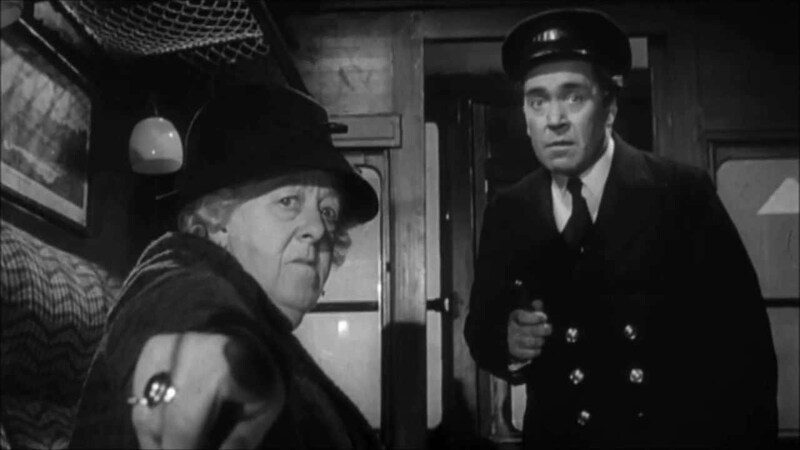 In the film, Miss Marple witnesses a woman being strangled on a train that is overtaking hers. The local police can find no evidence to support her story, so she conducts her own investigation and comes to the conclusion that the body must be on the grounds of Ackenthorpe Hall, which adjoins the railway line. This is where her real investigation begins. There are several differences between the film and the novel from whence it came. In the story, Miss Marple’s elderly friend Elspeth McGillicuddy witnesses the murder. In the story, a young acquaintance of Miss Marple becomes a maid at the Ackenthorpe residence in order to investigate, instead of Miss Marple herself in the film. Rutherford’s interpretation was quite different from the languid, passive depiction of Miss Marple in the novel. Despite Christie’s dislike of the adaptation, the film has received positive reviews and was successful financially. Based on the novel by the same name and shot in Egypt, Death on the Nile, followed a similar formula to Murder on the Orient Express from four years prior and featured an all star cast. The film was directed John Guillermin and adapted by Anthony Shaffer. Peter Ustinov stepped in to play Detective Hercules Poirot, a role he would play five more times. On a luxurious cruise on the Nile River, a wealthy heiress is murdered. Poirot and his trusted companion, Colonel Race are there to investigate. However, as Poirot and Race get closer to finding the killer, several of the suspects meet their demise, deepening the mystery. Featuring a massive cast including the likes of Bette Davis, Maggie Smith, Angela Lansbury and George Kennedy, Death on the Nile faced plenty of production difficulties. The temperatures reached 130 degrees fahrenheit and the crew had no hotel reservations. However, the overall atmosphere of the set was a generous one. 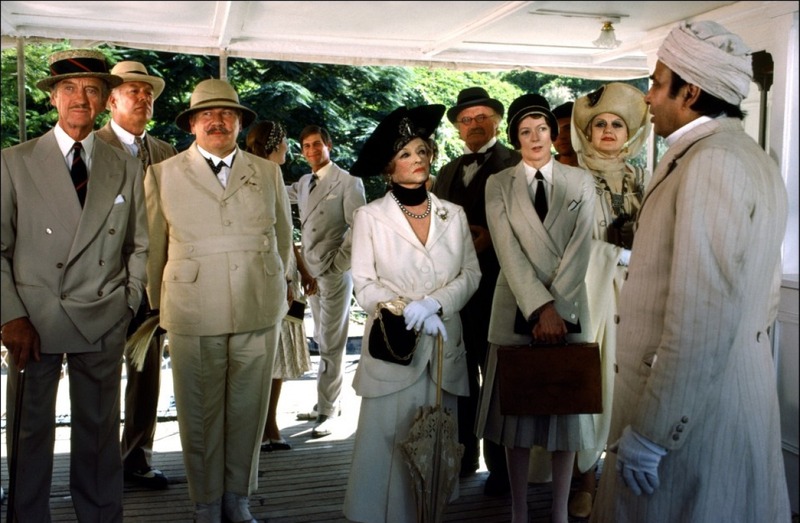 Death on the Nile has received generally positive critical response and won an Academy Award for its costume design. This Christie masterpiece has been filmed a number of times, but this one is considered the best. The film changes certain characters’ names and backstories to accompany the tough censorship at the time. The film also adheres to the ending of the stage play instead of the novel. The cast includes Barry Fitzgerald, Judith Anderson, Walter Huston among others as people stranded on an island. The 10 strangers are summoned to a remote island. While waiting for their host, a mysterious recording levels accusations at each of the guests. Soon, they start getting murdered, one by one, and they realize that one of them must be the killer. This adaptation of the novel takes fewer liberties than other takes on the book. However, the ending is radically altered. This film, like all Western versions, changes the ending to be more upbeat. Another change is the title. Christie’s original title was Ten Little Niggers and then changed to Ten Little Indians, a title it is often known as today. In some countries, like the U.K and Australia, the novel title was changed to And Then There Were None, so the film’s title was changed as well.